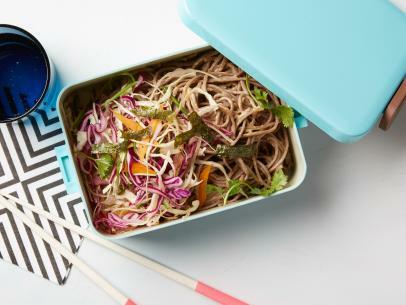 For the soba noodle salad: Bring a large pot of salted water to a boil over high heat. Cook the soba noodles until just tender according to package directions, 6 to 7 minutes. Reserving 1/4 cup of the cooking water, drain and run the noodles under cool water to stop cooking and ensure they stay firm. Drizzle with a little sesame oil and toss so they don't stick together. Set aside. For the peanut dressing: Place the sesame oil in a large saute pan over medium-high heat. Add the garlic and ginger and lightly saute (take care to not overheat as the sesame oil burns easily). You just want to gently warm and infuse the oil to cook the garlic and ginger, about 2 minutes. Add to a blender with the peanut butter, soy sauce, honey, rice vinegar, Sriracha and reserved soba cooking water (hot). Blend until completely smooth. Taste and season with salt and pepper. 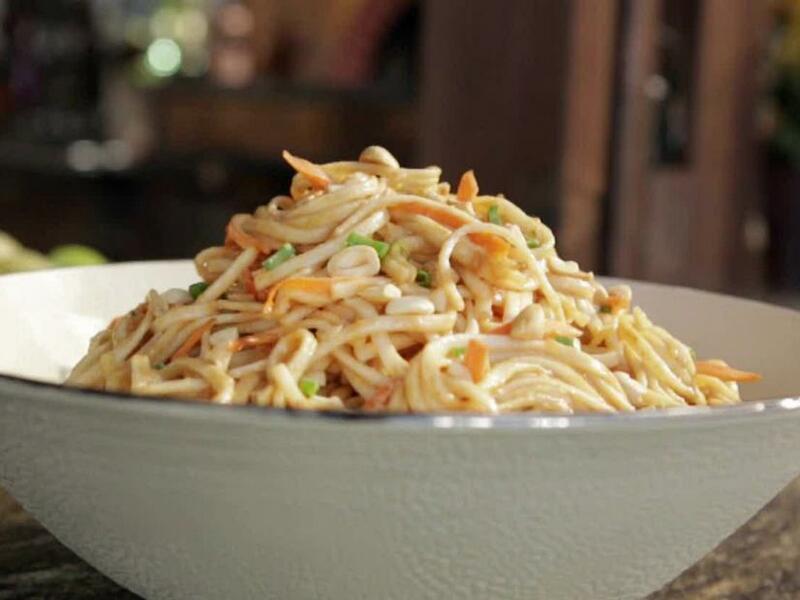 Mix together the carrots and scallions with the noodles in a large mixing bowl. Dress with the peanut dressing then serve garnished with the chopped roasted peanuts.